"I'm sure there'd be other Australians who would do the same"
We, like many Australians, haven’t always been that kind to Russell Crowe over the years. Junkee’s made fun of the actor for yelling about hoverboards in airports, for getting some fairly basic things wrong about gender equality in the film industry, and for having somewhat of an existential crisis on Twitter about a hat tumbling down the street. At some point along the way (it was totally about the hat thing), he blocked Junkee on Twitter, and I don’t feel all that bad about it. But, full credit where it’s due. Russell Crowe just called out the Australian government for its treatment of the 600 or so men currently stranded on Manus Island, and offered to house and find jobs for six of them. 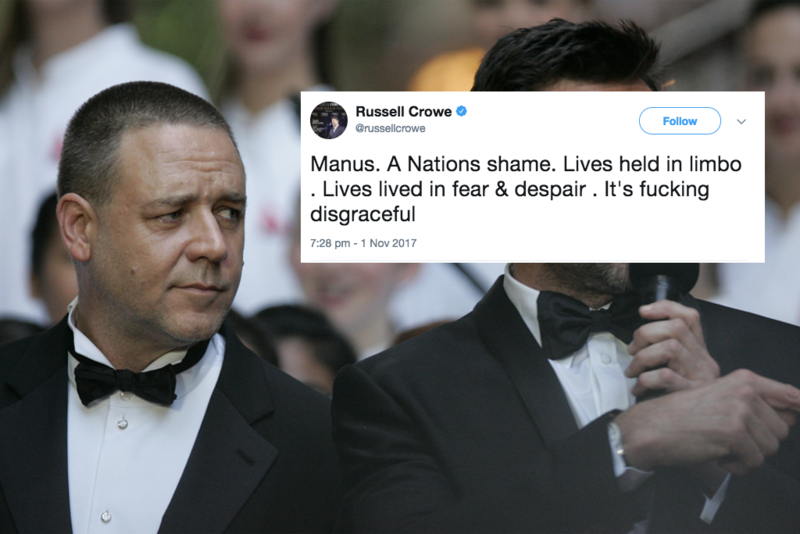 Crowe has called Manus “a nation’s shame” and counted himself among the many Australians who are keen to step up and help asylum seekers. 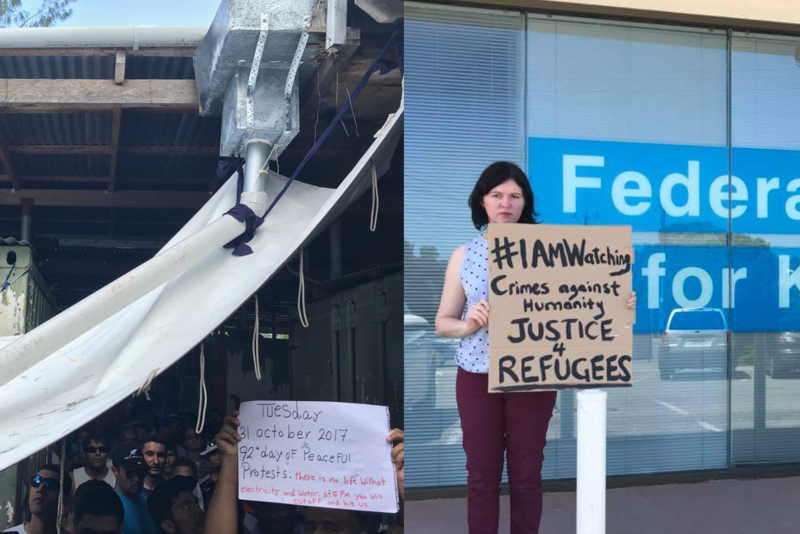 If you’re just catching up on all of this, there are currently a large number of asylum seekers living with no food, water, electricity or security on Manus Island following the shutdown of their detention centre earlier this week. Though the Australian government claim there are alternative facilities on the island available to these men, their safety is not guaranteed there. Many locals have threatened violence against asylum seekers and police have warned of the dangers from some in the PNG community. Australian advocacy groups are organising rallies for the weekend, calling on our government to take better responsibility and care for these men. The government is also facing criticism from elsewhere. Newly-appointed New Zealand Prime Minister Jacinda Ardern is meeting with Macolm Turnbull for the first time this Sunday. Ardern has today urged people to “see the human face [of this issue]” and pledged to confront the PM about “New Zealand’s role and view on Manus Island”. Ardern has reaffirmed New Zealand’s previous offer of resettling 150 refugees. Obviously, that offer is a hell of a lot more concrete than the one posed by Russell Crowe, but it’s invigorating to see grassroots support on the issue — especially from someone with Crowe’s profile. Kon Karapanagiotidis, founder of the Asylum Seeker Resource Centre, has since backed his statement and put out a call for others with a means and will to help. The best way of showing your support right now is calling your representatives and letting them know how you feel about this. The ASRC has made an explainer video with more information on what to do, or you can read more here.